Make your listing stand out and build your brand. Pricing is based on the number of images and size of the property. Both of these variables affect the lighting and editing work that goes into making your listing photos. Quotes are available upon request for homes above 3,500 sq ft. and/or more than 35 images. $150 - Twilight photo shoot. Highlight your property's exterior at dusk to showcase landscape/property lighting, pool lighting or a beautiful sunset. Twilight appointments are subject to weather conditions. $25 - Single property website optimized for marketing on social media. Professional editing so that your listing looks its absolute best. High resolution images for print marketing. A customized gallery with the property name and the listing agent's name for easy social media marketing. For regular clients, I will also create a property portfolio of the top images from their best listings. ​You will receive your images via a Dropbox link by 7:00 am the next day. "I have used Justin's services as a photographer many times. I am a Real Estate Agent and have had Justin take professional pictures of my Listings. I believe the quality of the pictures he has taken was the initial reason for buyer's to want to come see the property, which ultimately results in quicker sales. Not only is his work professional, Justin is very professional when meeting sellers." "We have been using Justin for about a year now for our listing photos, and he does a phenomal job! Not only are his pictures amazing, but he treats sellers with care, kindness and respect. He has a 24 hour turn around on photos and they are always fantastic. We are so happy we have found him to help present our listings in the best light possible. Justin is a complete professional!" Travel time outside of the green standard service area will be billed at the rate of $50 per hour. Contact me at galushaj@gmail.com or 617-827-1069 to set up an appointment. 2010 Redfin Study finds that homes photographed by a professional generate more online views and sell for more. Why do high quality listing photos matter? 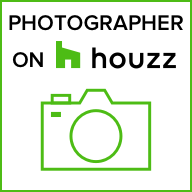 When I take photos of your real estate listing, you are paying for a temporary LICENSE for one specific person (you) to USE those photos for a specific purpose (advertise your listing) for a specific length of time (the duration of your listing).